One of the most common challenges when growing plants indoors is a lack of sunlight. Many indoor spaces are too dark for certain succulent varieties and can cause them to fade in color and lengthen their stems. But that's not the only reason for rapid vertical growth! Healthy, tall-growing succulents are sometimes mistaken for light-starved, stretched plants. Read on to learn how to tell the difference. Sedeveria 'Letizia' (top) and Sedum pachyphyllum showing distinctive stretching and fading. Light-starved or "etiolated" plants looks pale and spindly with large gaps between leaves on their stems. Succulents will grow tall and lose pigmentation in an effort to absorb more sunlight. A gradual transition over 1-2 weeks to a brighter location will help them grow more leaves and recover their color, but some changes to the shape of the plants can be irreversible. At the first signs of etiolation, move the succulent closer to a south-facing window or outdoors, if weather permits. For plants that can grow happily even in low-light, indoor environments, look to Mountain Crest Gardens' Indoor Succulent Collections. Crassula corymbulosa 'Shark's Tooth' (top) and Pachyphytum hookeri (bottom) growing tall and full. Consider the spaces between leaves; a tall succulent should still have full-looking foliage. Watch for fading stem color; healthy plants will retain more vibrant colors. Refer to the plant's description on Mountain Crest Gardens to confirm that the plant is within its "Maximum Height" range. Ensure that the container is in a location that matches the "Ideal Light Conditions" listed on the variety's description. If all of theses criteria are met, congratulations! 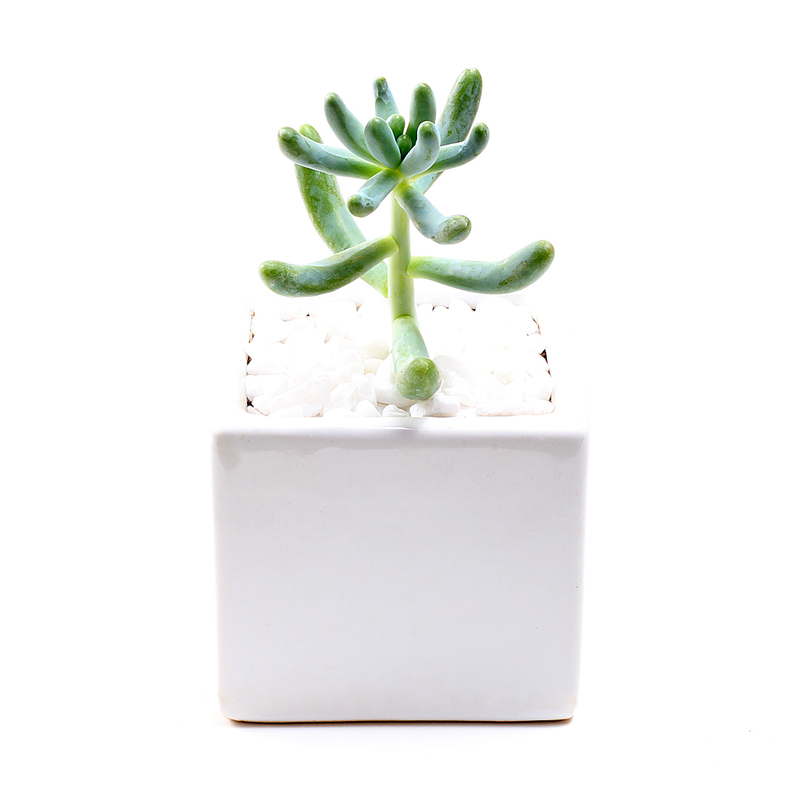 Your succulent is receiving enough sunlight to grow tall and healthy. Healthy Graptosedum 'Alpenglow' (left) and Pachyphytum hookeri putting on tall summer growth.